NE day, one story, many languages and many voices. This Saturday, thousands of children across India will listen to a reading of a charming tale a�� Takloo the Little Salt Seller. 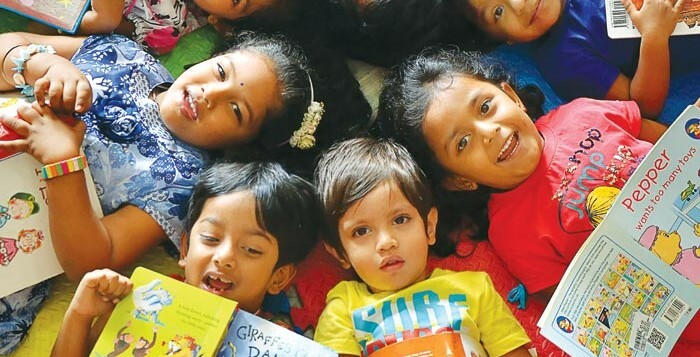 Chosen for this yeara��s edition of the Champions campaign, run by Bangalore-based childrena��s publisher Pratham Books, the initiative sees a single story being read by volunteers to children nation-wide on the same day. a�?Wea��ve almost doubled the number of volunteers each year a�� from 250 in 2011, to 600 last year, and already over 1, 000 storytellers for this campaign,a�? says Maya Hemant Krishna, community manager, Pratham Books. From Bihar to Goa, Bangalore to Bhopal, the champions come from far and wide, and include individuals, NGOs, corporates and libraries. The book is published in multiple regional languages, and is freely available for further translations. a�?Ita��s very exciting to think of one book being read on a specific day throughout India, in many different languages,a�? 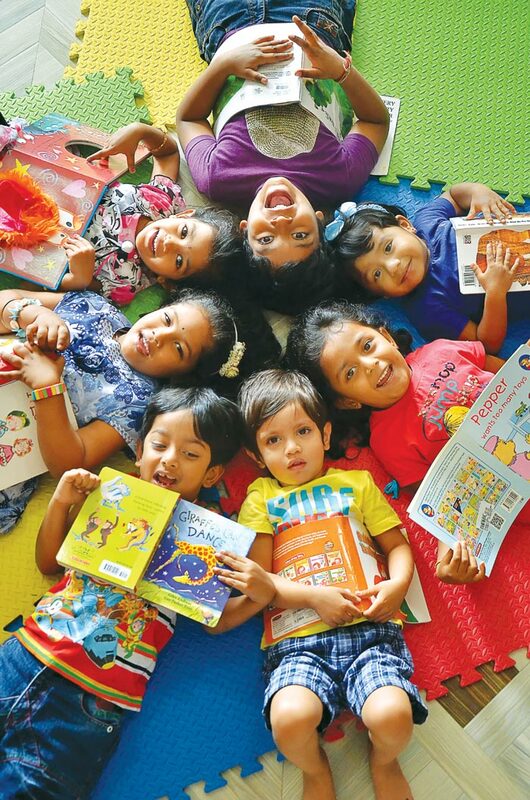 shares Arundhati Chattoa��padhyaya, who works with underprivileged children in Goa. Yuman Hussain of The Azad Foundation, an NGO that will take the story to children in over 20 madrassas, to foster integration as well as literacy, says, a�?It cuts across state, language, religion and caste boundaries.a�? Every year the tale is written and illustrated by local contributors . a�?Pratham books are very Indian. Including everyday characters makes it easy to engage children in a dialogue,a�? explains Neela Gupta, a retired librarian, and one of the earliest champions. 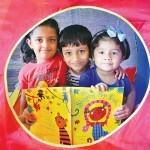 Childrena��s books with a strong Indian context were a rarity even five years ago, but now writers and illustrators are redefining the genre, creating multiple avenues into the reading habit. On the eve of this yeara��s champions campaign, and three days before International Literacy Day on September 8, authors, illustrators and publishers tell us how the world of childrena��s literature in the country is changing. 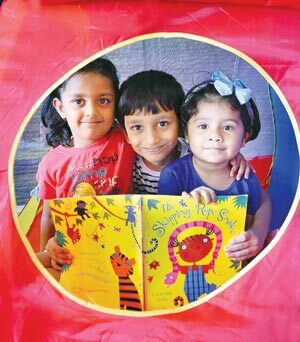 Since her first book for children Tiger on a Tree was published in 1997, Anushka Ravishankar has witnessed the change in attitude towards childrena��s writers first-hand. a�?When people learn I write for children, their reactions vary from a�?never mind, that is also very creative,a�� to complete bafflement. But things have changed.A�Educationists are much more attuned to childrena��s literature, which is very heartening.a�? Bangalore-based, full-time childrena��s author Arundhati Venkatesh concurs, adding, a�?childrena��s books may look deceptively easy. Yet writing for children is just as difficult as writing for adults.a�? Greater awareness of the role of good childrena��s books in laying the foundations for increased literacy can also be credited to high-profile authors. a�?There is greater appreciation for the craft, thanks to writers like J K Rowling,a�? 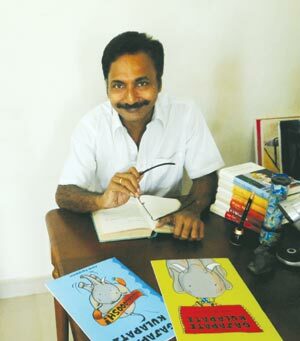 explains Chennai-based Ashok Rajagopalan, who has been involved in hundreds of childrena��s books as either author or illustrator over his 17-year career. But publishers lament the dearth of serious awards and prizes for childrena��s writing. a�?Even the Crossword Book award, which now has a childrena��s category, has only one section for books aimed at ages under 15,a�? explains Shobha Viswaa��nath, publishing director for Chennaia��s Karadi Tales, elaborating, a�?Ita��s difficult to compare chapter books and picture books because they are completely different things.a�? a�?Training and nurturing talent is what is needed,a�? 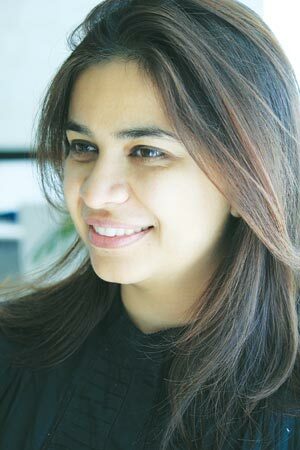 adds Deeya Nayar, editor at Tulika Books. For Jerry Pinto, whose book When Crows are White was shortlisted for the Crossword Prize for Childrena��s Fiction in 2013, imitation is the best way to inculcate a reading habit in the very young. a�?If I see my Mom reading in her leisure time, thata��s what I will do. And no amount of coaxing or forming book clubs will change anything,a�? he states. There is a consensus among authors that ita��s important not to make reading a chore, or to force a child to participate. a�?Every child is different, and has her own tastes and interests. They should read what they are excited or moved by,a�? explains Ravishankar. Her sentiments are echoed by Pinto, a�?I hated being forced into competitive sports when I was in school. I didna��t believe my parents who said that it was good for me. The same applies to reading.a�? Pictures are a key tool in early reading. a�?A child naturally learns to read pictures before reading words,a��a�� explains illustrator Ruchi Mhasane,who completed her MA in childrena��s book illustration at the Cambridge School of Art in the UK, and has worked for several Indian publishers. a�?Children canA�understand extremely complex concepts through pictures that sometimes words would fail to do,a�? she adds. Priya Sundram, a collage artist who worked on Anushka Ravishankara��s latest book Captain Coconut agrees, a�?A large proportion of what a child learns in school is presented visually, through writing and images. 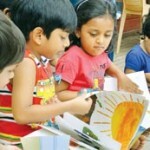 Picture books are a fantastic way of utilising both.a�? Authors are no less enthusiastic. a�?A good manuscript leaves room for the illustrator to play around. The results are magical,a�? says Arundhati Venkatesh. Yet the power of the visual reaches far beyond early years. Publisher Tara Books has been developing the picture book for all ages, and experiments with images in books for older children are rapidly becoming more common. a�?Illustration for older children is usually used in a supportive role,a�? explains Mhasane. a�?However there are experiments which involve both words and illustration in the storytelling, and it is a wonderful area.a�? In terms of style andA�experimental. The use of Indian tribal and folk art as childrena��s books is increasingly common, while recent diversifications include books illustrated using applique and embroidery, such as Nina Sabnania��s Stitching Stories. Although digital mediums are often seen as a distraction from the pleasures of a good book, the two can work in harmony to promote literacy and reading. a�?Wea��d better come to terms with the digital world, ita��s here to stay,a�? 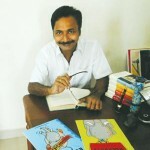 says Ravishankar, who as the publisher of Duckbill books, as well as an author, has digital products for children. a�?Digital allows for some great alternatives. Listening to audio books, ebooks, and books read out with word highlights all helps,a�? agrees author Natasha Sharma. Viswanath, whose publishing house Karadi Tales specialises in audio books, explains that alternative mediums can allow differently-abled children to enjoy storytelling. a�?Audio books help children who are struggling to feel like they are reading, as a cue prompts the child to turn the page at the appropriate time.a�? Apart from audio books, Karadi Tales also produce video books, that have moving pictures with the text embedded. a�?The text is highlighted as the audio runs so the child can follow the words,a�? she adds. 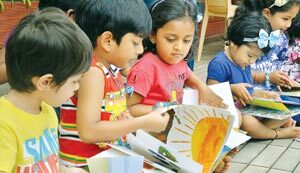 Childrena��s books in regional languages as well as bilingual editions are widely available thanks to publishers including Katha, Eklavya and Tulika, but ita��s still more difficult to find books that have emerged in a regional language and then been translated into English. Yet this is beginning to change. Tulikaa��s Under the Neem Tree was originally written in Telugu by dalit writer and teacher P Anuradha and is now available in nine Indian languages and English. a�?We do not often come across stories like this,a�? explains the editor Deeya Nayar. Pratham Books, earlier this year, launched Adi Kahani, a series of stories written in tribal languages, now translated into English and Hindi. a�?Tribal languages reflect a rich culture and transfer knowledge and wisdom from one generation to another,a�? 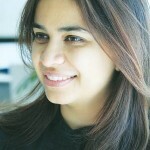 explains Manisha Chaudhry, head of content development at Pratham Books. a�?These stories should travel as they are a significant part of our national heritage and hold value for all children,a�? she says in conclusion. Carefully curated blogs and websites can give valuable insights into the sometimes daunting array of books on the market.
? Bookalore, Pumpkin Treats with author Arundhati Venkatesh. September 6, 11 am. At Podar Jumbo Kids, JP Nagar.
? Story of the Rolley Polley Caterpillar. September 13, 10.15 am. At Chooku Booku, K R Road.